SK 1/c Ray N. Patterson, son of Mr. and Mrs. H. N. Patterson, graduated from Grandfield High School, attended Camerson Jr. College and NTSTC, Denton; husband of the former Joy Bryant. 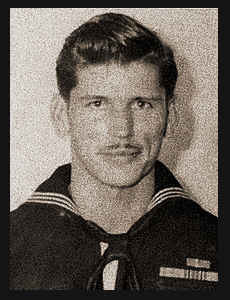 Entered Navy in Jan. 1942, trained in Great Lakes, Ill., and San Diego, Cal. ; served in the p;acific; is now on duty in New Orlean, La. Awarded Asiatic Pacific Ribbon with five Battle Stars and Philippine Lib. Ribbon with Battle Star.